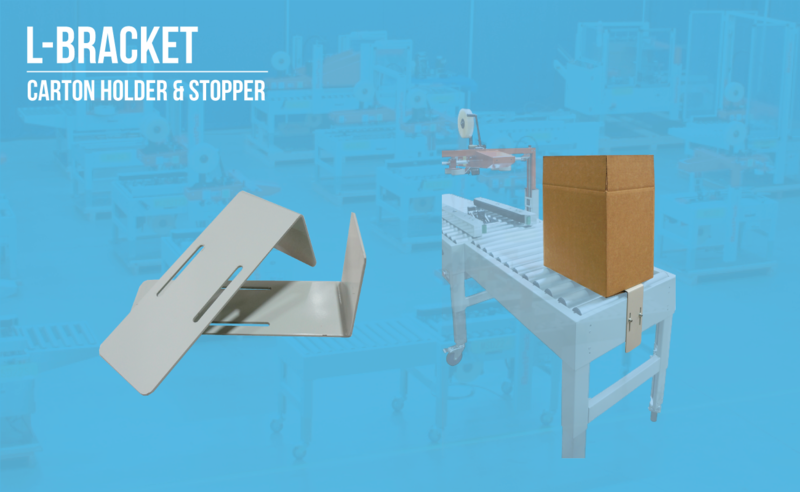 The L-Bracket is used for two different purposes, it will hold a carton as it is filled on an infeed conveyor, and it is a carton stopper on the exit conveyor. 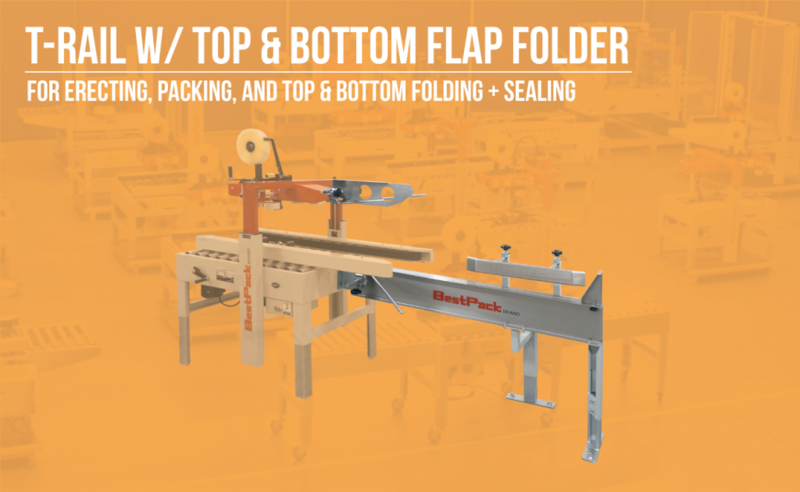 The bottom “T” rail allows for a uniform operator-fed application with erecting, bottom folding and bottom sealing of a carton when attached to the proper semi-automatic uniform sealer. 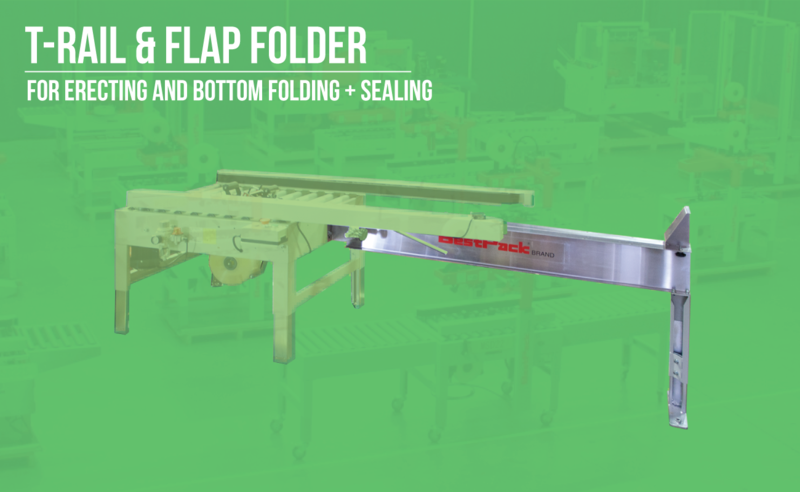 The “T” rail with top and bottom flap folder, combined with a carton sealer, enables an operator to efficiently erect, pack, and fold the flaps to seal the top and bottom of a carton.